A hit at family gatherings for decades. Made of featherweight capillary fabric. Features easy sliding open-and-close control. 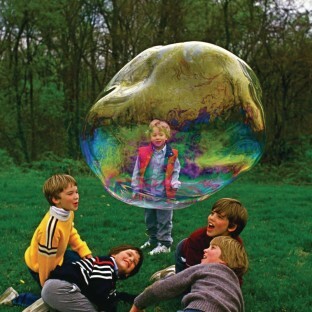 Bubbles are mesmerizing, Bubbles are fun… so why not make your bubbles the BIGGEST? Bubble Thing has been a hit at family gatherings for decades. Unique and versatile, it is made of featherweight capillary fabric and features easy sliding open-and-close control to make different sized bubbles and easy-grip handle. 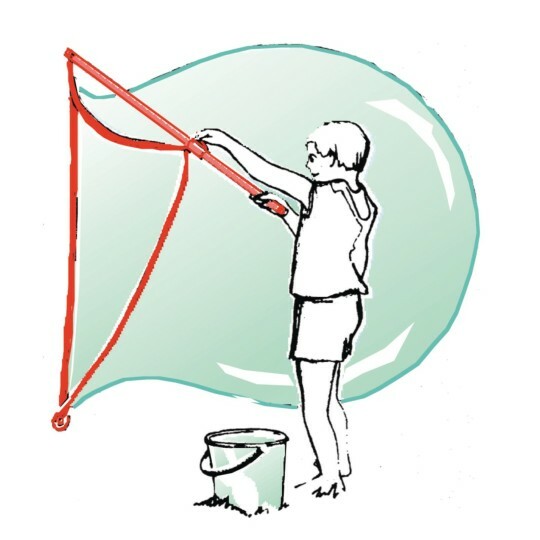 Includes full instructions and Bubble Mix that makes 2.7 gallons of bubble solution. Just add water and dish soap. Bubble Mix can be replaced with our SL8045 Big Bubble Mix Refill.